Blog Articles: Have The Right Condo Insurance? As a condo owner, you receive some level of insurance coverage through the condominium complex’s master policy, which covers damage to the building’s common areas and liability claims for accidents that occur in those areas. But there can be significant variations in what master policies cover from one complex to the next. To make sure you insure your unit and your possessions properly, you need to understand what a master policy usually covers, what it sometimes covers and what it usually doesn’t cover. You also need to review your condo association’s master policy to find out exactly what it covers. If you’re having trouble making sense of it, a condo-insurance agent can help you. Once you understand what you’re responsible for and what you aren’t, you can purchase a condo unit-owner's policy to fill in the gaps. – Loss of use, if you have to pay to live somewhere else while your damaged home is repaired. Condo insurance covers loss of use and personal liability, too. Where condo insurance differs from renters' insurance is that you may be responsible for some of your unit’s interior components, depending on what the building’s master policy states. And where it differs from homeowners' insurance is that you won’t be responsible for many structural components; the condo association’s master policy will cover them. This policy can vary from one condo association to the next, so it’s important to read it before you buy, even if you’re just moving from one condo to another. Part of the monthly homeowners' association (HOA) dues you pay as a condo owner goes toward purchasing a master policy that insures against both personal-liability claims caused by accidents in common areas and physical damage to the complex’s common areas. Common areas are the parts of the building that you share ownership of with other condo-unit owners, such as hallways, lobbies, elevators, community landscaping, athletic facilities, community rooms and swimming pools. A master policy also covers the exterior structure – for example, roofing and exterior walls. Condo master policies cover the same types of perils that homeowners' insurance covers, including fire, lightning, windstorms, hail, explosions, smoke, theft, vandalism, falling objects and building collapse. How much you’ll pay for this coverage depends on the same factors that affect what you’d pay for homeowners' and renters' insurance, including building age, claims history, building size, location and construction type, and such loss-mitigation features as a sprinkler system for fires. One exception to watch: If your homeowners' association determines that you are responsible for damaging a common area, it can hold you personally responsible rather than filing a claim under the master policy. You can purchase what is called “loss-assessment coverage” to protect yourself against this possibility. Loss-assessment coverage is also useful if the complex experiences a loss that exceeds the master policy’s insurance limits, and the HOA has to hand down a special assessment forcing unit owners to cover the shortfall. 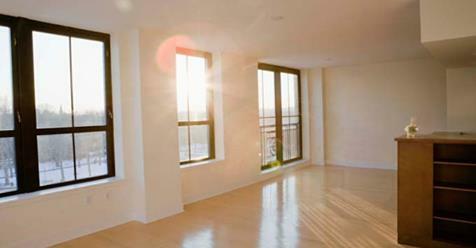 You need a condo unit-owner's policy to insure specific components of your unit. These include damage to walls, floors and ceiling coverings; damage to fixtures; damage to improvements and alterations; and damage to permanently attached structures (such as a garage). In other words, if the entire building burns down, the condo association’s insurance will pay to rebuild the common areas and your unit, but you’ll usually have to pay to replace your toilet, countertops, cabinets and hardwood floors – that’s why you need a unit-owner's policy. Some master policies do cover items like these, which makes it imperative that you read the policy so you don’t purchase too much or too little insurance. In addition, while some master policies cover specified interior items, they may only cover them at a basic level, meaning that if the unit was built with vinyl floors but you upgraded to ceramic tile, the insurance will only pay to replace vinyl. Although the master policy will cover common areas and possibly some items within your unit, it will have a deductible, just like your unit-owner's policy. You need to know what deductible your association has chosen and how many owners that deductible will be spread across, so you will know how much the association will ask you to pay in the event it needs to file a claim. For example, if there is a $50,000 deductible and the condo complex has 500 units, each unit owner will be responsible for a $1,000 deductible if the HOA needs to file a claim under the master policy. Set aside this amount in your emergency fund so you’ll be prepared. As with renters' and homeowners' insurance, documenting the interior and the contents of your unit with a video or photographs – and a list of estimated replacement costs – will help you determine how much insurance to purchase and enable you to substantiate your loss if you need to file a claim. As with homeowners' and renters' insurance, you’ll need special coverage if your condo is subject to flooding or hurricanes or if you own high-value items, such as expensive jewelry. And unless you plan to replace any damaged or stolen possessions by shopping at thrift shops and garage sales, make sure to get replacement-cost coverage, not actual cash-value coverage. Finally, no homeowners', renters' or condo insurance policy will cover damage caused by neglect or intention. Condo insurance differs from renters' insurance and homeowners' insurance in the way it deals with responsibility for the building’s structure and certain interior components. Make sure that between the complex’s master policy and your unit-owner's policy, you’re fully protected but not over-insured. It’s smart to obtain a copy of the condo’s master policy before you buy so you have enough insurance from day one, but it’s never too late to update your coverage or to make sure you aren’t overpaying for coverage you don’t need.